These different words all mean the same thing – “Welcome”. As in different languages, there is a way of saying welcome through email, too. 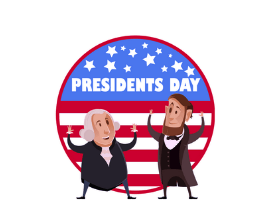 Yet, while greetings in languages are aided by expressions and gestures, emails depend solely on content and design to get their messages across. Hence, it is essential to invest the time and effort in creating a winning welcome email. The welcome email is your first point of contact with a new subscriber. It plays a pivotal role in laying the foundation of your brand’s relationship with them. In fact, welcome email recipients engage with brands 33% more than their “unwelcome” counterparts. 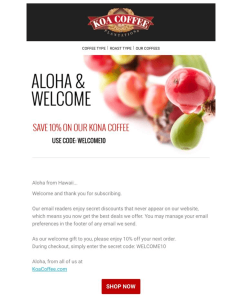 Most customers expect a welcome email when they subscribe through a form or email signup pop-up. Therefore, this crucial first impression with your new subscribers is one opportunity not to be missed! In fact, when new subscribers don’t receive a welcome email, they often wonder whether the sign-up was successful or not. Okay, now the long version: What Are Welcome Email Best Practices To Follow? Let’s walk you through some best practices as we highlight some examples from popular brands. 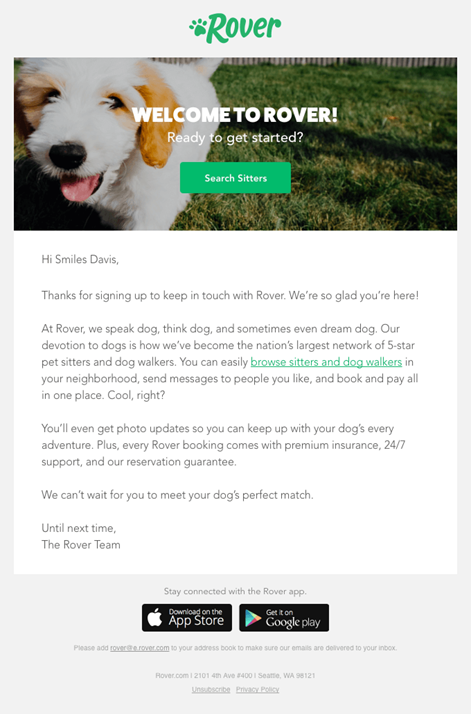 Rover, one of the largest network of 5-star pet sitters and dog walkers, keeps its welcome email pretty simple and straight-forward. They begin with a warm welcoming message followed by an introduction about their services. Note how the copy focuses on the exclusivity of their services & how it stands to benefit the subscriber. 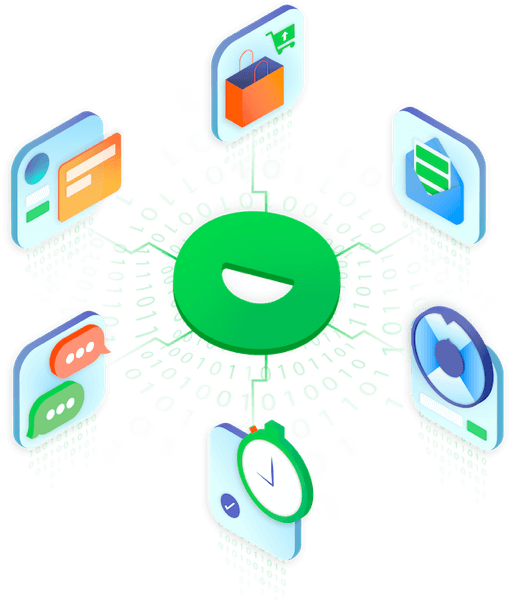 Since Rover is an intermediary platform that connects dog owners and dog-sitters, the explanation of how the service works in the “language of the dog” is an excellent show of brand personality as well. Zapier, a workflow automation provider, believes in projecting its salient features and USPs in its welcome email. The email avoids other unnecessary clutter and focuses on telling the subscribers the different benefits they would get to enjoy by connecting with them. This strategy works well as a way of luring the subscribers into taking the next step. Welcome emails with offers bring in nearly three times the transactions as those without special offers. 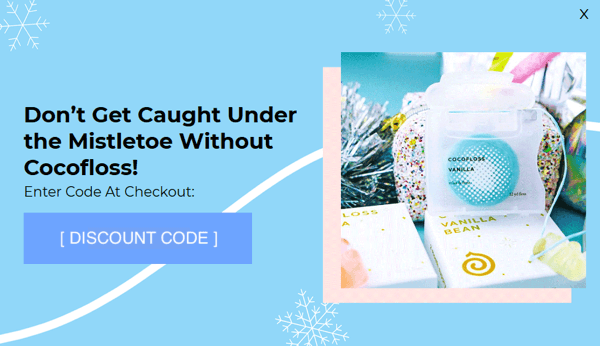 Ace & Tate, online prescription glasses provider, straightaway jump into offering free shipping soon after the welcome message in its welcome email. By doing so, they are not only increasing the chances of conversion but also creating goodwill among their new subscribers. More choices can actually equal fewer decisions. It seems paradoxical, but it’s true. Emails with one powerful call to action tend to generate higher click-through rates than emails with multiple CTAs. So, make sure your welcome email has one prominent call to action that’s easy to find and act upon. 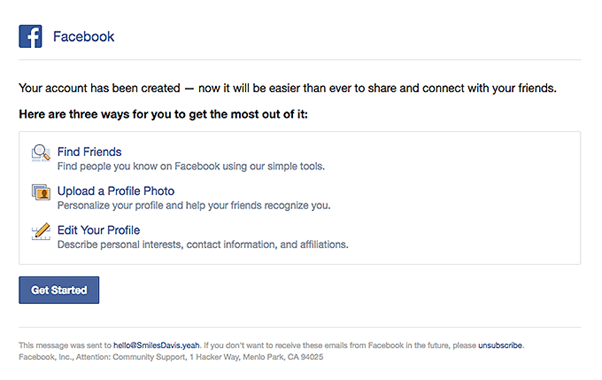 The single CTA makes Facebook’s welcome email more purposeful and makes the next step very clear to the subscribers. Oculus, an American tech company, uses eye-catching images and graphics in its welcome email to showcase its products/services. It makes sure that the images are compelling, emotion evoking and relate to the objective of its brand. 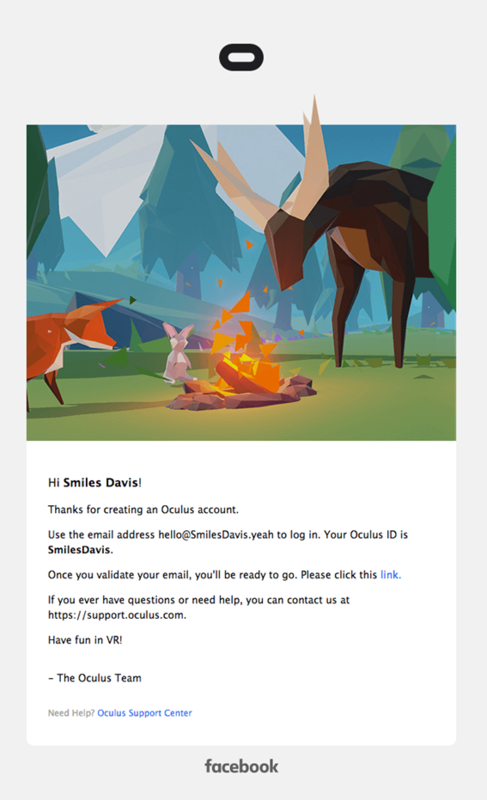 These rich and eye-catching images & graphics make Oculus’ welcome email hard to ignore. Welcome emails with links to social media have a 6% higher click-through rate than those without. Adding social media links allows you to keep your new subscribers engaged and enable them to interact with other facets of your business—ultimately (we hope) increasing the chances of conversion. Allbirds, a woolen footwear company, provides buttons/ links to its various social media channels such as Facebook, Twitter, Pinterest and YouTube in the footer of its welcome email. By doing this, Allbirds has made its welcome email more engaging and interactive. A welcome email is a must-have piece of your overall email marketing program. Use the easy steps above to build yours. If you want a deeper dive on what makes a great welcome email, take a look at this infographic from InboxArmy titled The Indispensable Welcome Email. Scott is the VP of Marketing at InboxArmy, full-service email marketing agency. He has been living and breathing email marketing since 2007. With both agency and client-side end-user experience, Scott brings a unique perspective to email marketing that combines best practices with real-world-tested strategy and tactics. Check out Scott’s email marketing tutorials & articles on Email Marketing Blog.